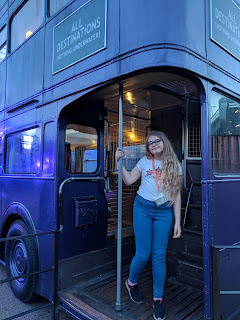 On Friday I was lucky enough to attend an event at the Harry Potter Studio Tour along with fellow blogger's and vlogger's. 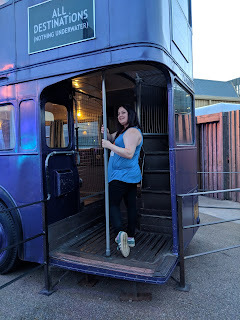 Having never been on the tour before I was rather excited to be going to see behind the scene's and see the actually sets that the film's were filmed on as well as props and costumes. 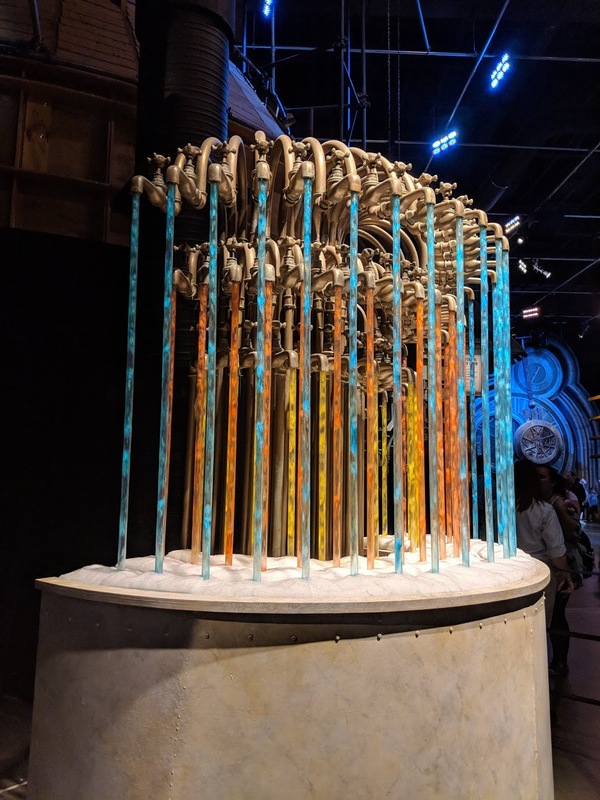 The tour have the Goblet of Fire exhibit which is running until September. Before the tour begins you have plenty to look at while waiting, there is also a cafe so you can grab a bite to eat and something to drink. 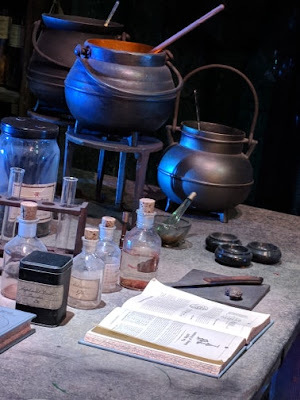 The gift shop is also there for you to have a look round and maybe grab a wand, because every wizard and witch needs one. The first part of the tour gives you a few ground rules and then you watch a short video before entering The Great Hall. 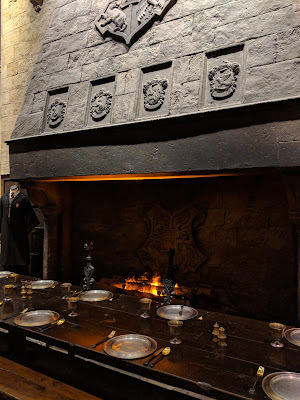 The Goblet of Fire sits at the end of The Great Hall waiting to reveal just how the Triwizard Champions' are announced by firing a piece of paper out, there are plenty of these so you can keep one as a memento of the tour. After the demonstration you have a few moments to have a look around The Great Hall before moving on and be left to look around in your own time and take in every little detail. You really appreciate the craftsmanship that goes into the sets. 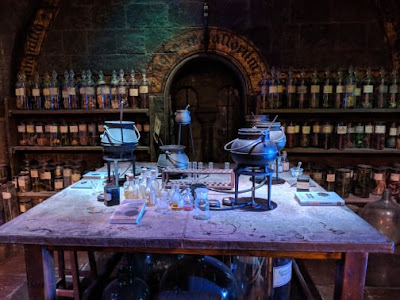 The first section you come to is home to the potion room, where you can take your time in trying to read every potion bottle label, there are a lot. 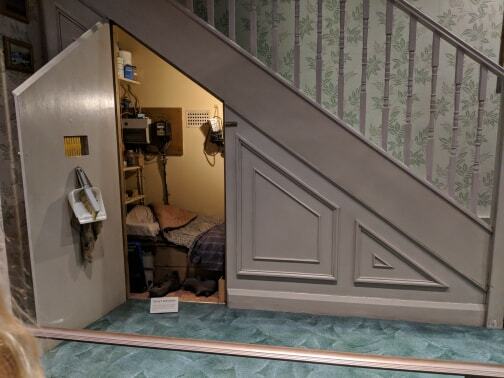 You can stand, sort of, at the bottom of the moving staircase, take a peep at the boy's dorm and see for the first time the tap's from the prefect's bathroom, they are so beautiful I wished my motion picture could show you just how beautiful. There are so many different props to be amazed. 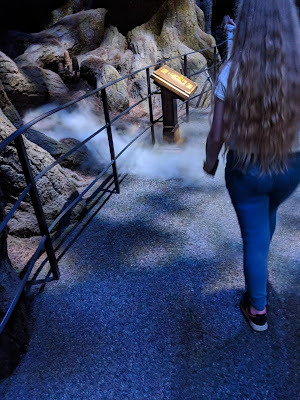 We got to step into Dumbledore's office and the detail is just fantastic I just wish that we could of gone up the steps and closer to the desk so we could see more closer. As you walk around the tour there are little stamp stations to stamp a passport which you are given before the tour starts, this is great for the kids who may not be as interested in looking at every little thing. 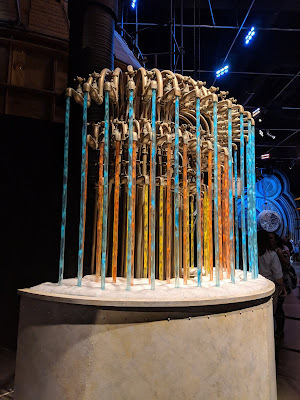 Around the tour their is many things to keep the kid's engrossed, they can call their broomstick up near the Quidditch display before heading over to go broom flying. After you have had your flight on the broomstick you can purchase the video or a photo. 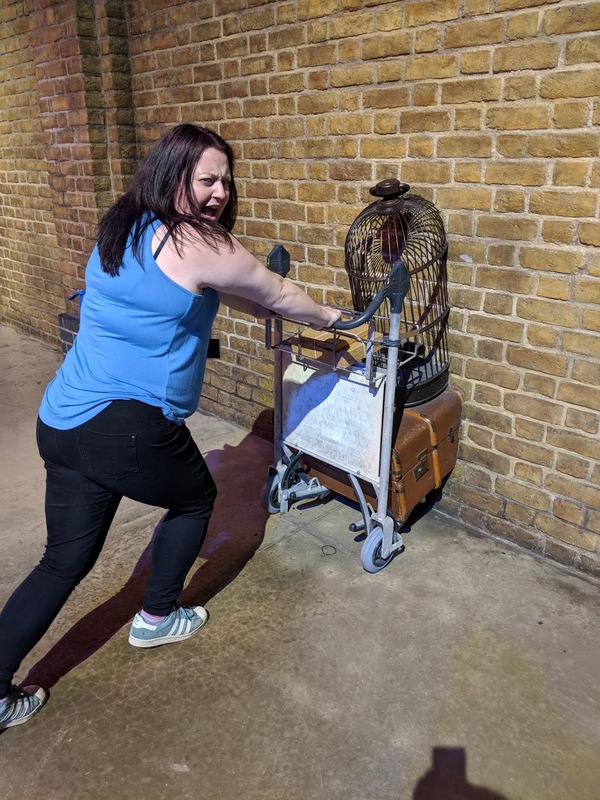 There is a few places where you can have a picture taken for free, if you don't fancy buying your broomstick ride. 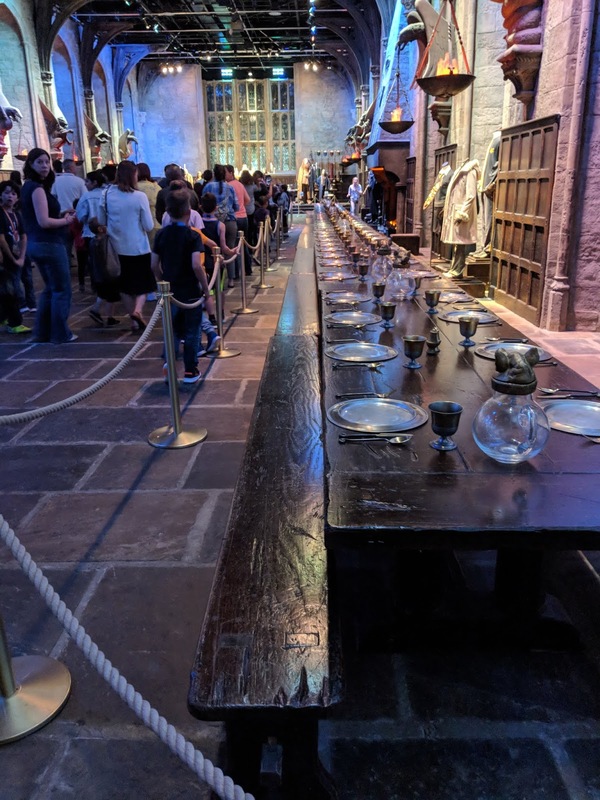 Before entering the forbidden forest you can polish up on your wand skills, trust me you will need them. 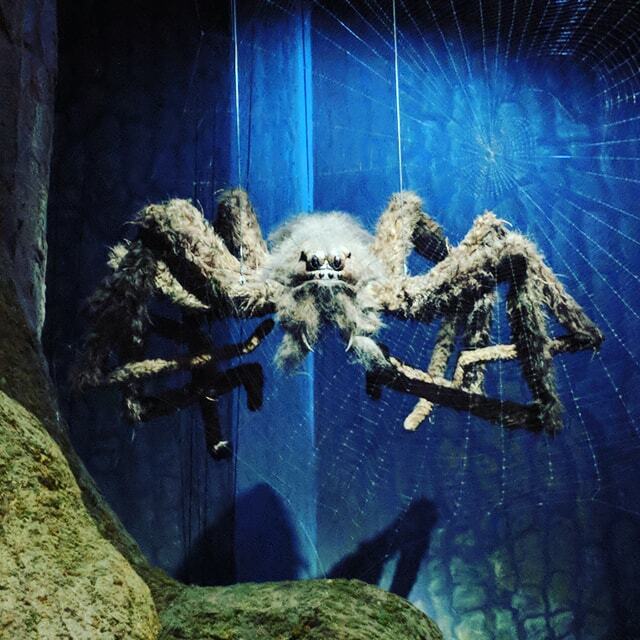 During our stroll through the Forbidden Forest we saw Buckbeak, Aragog and a Patronus. The Forest was great with more interactive treat's for you to play with, towering tree's and eerie fog rolling in. Next stop Hogwarts! I personally think the Hogwart's Express should be the first thing you come across, before you begin your journey through the sets. This area was really fun you could take pictures of you running through the walls with your trolley, of course I had to take a silly picture who smiles when they are running at bricks! 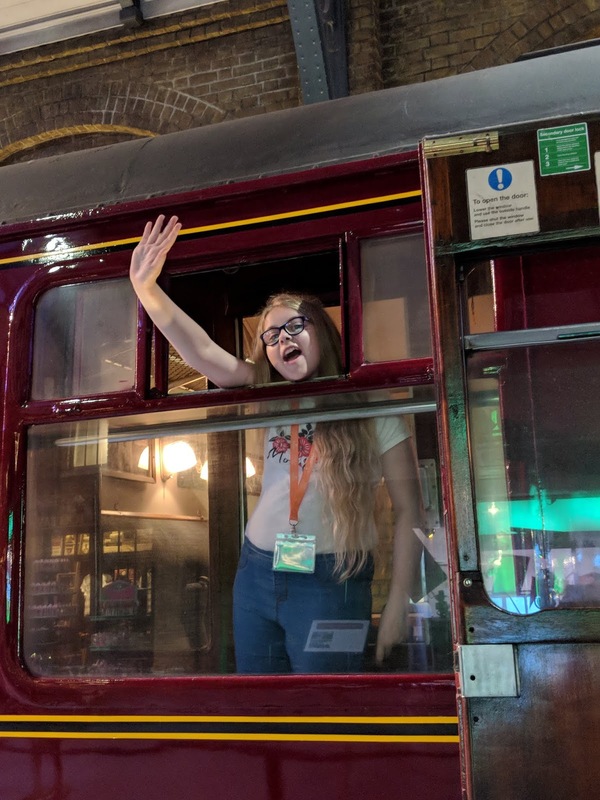 This section also had another green screen area where you can sit in the carriages. You can board the express and see the carriages (you can't sit in them on the train) or you could play out waving goodbye from the window. We were about half way round at this point some we stopped for a quick bite to eat and a Butterbeer. 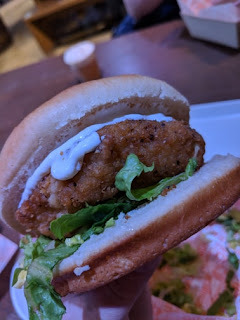 I chose to have a chicken burger which I thought would could with fries or wedges but sadly not. I thought the food was rather expensive and wasn't that nice, the price of the chicken burger was £7.95. Maybe I've just lived in the north for too long but it just seemed really over priced for what it was. I opted for a Butterbeer while my sister chose to have the Ice cream. 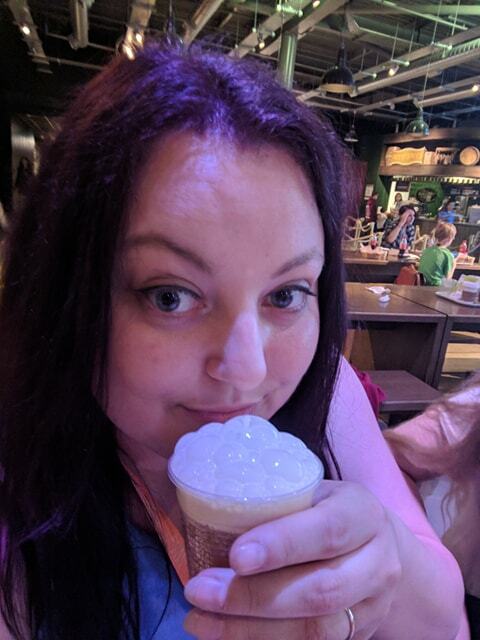 I really like the Butterbeer and even drank some of my friends it's strange as it is like a fizzy butterscotch drink with a creamy butterscotch top. The ice cream was just butterscotch flavoured but very nice. 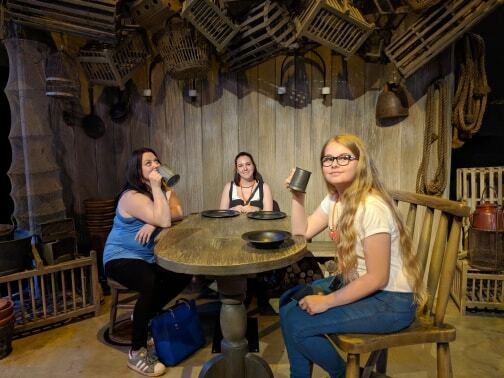 After our pit stop we went outside and ended up on Privet Drive, you can go inside the house too. 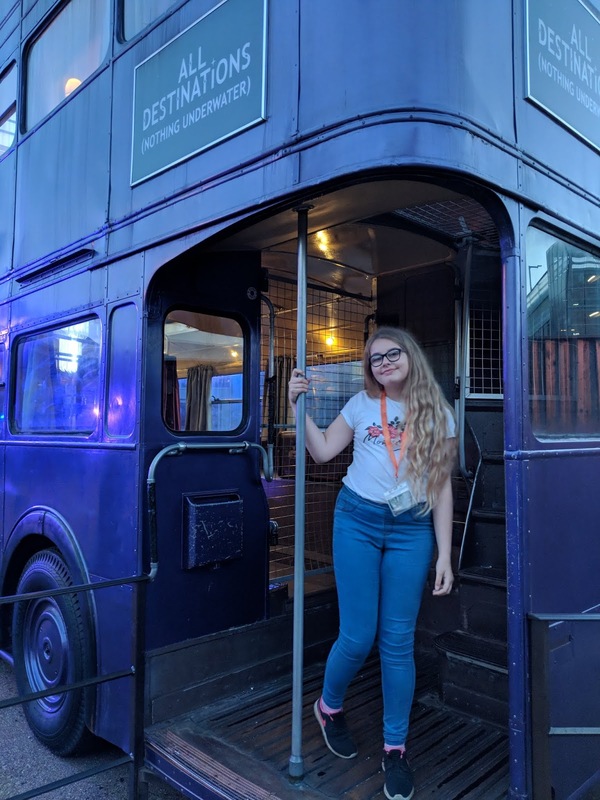 We took it in turns to get a picture with the Knight Bus, I wish all buses were like the Knight Bus. We took a walk across the Hogwart's Bridge before taking a look at The Potter Cottage. The next section is all about the prop's and my word there are so many. In here you can have a go at moving Dobby as well which the kid's seemed to really enjoy. I know I said it at the start but in this room you just can't help but think how amazingly skilled the craft people are. When we watch anything we never fully appreciate the work that goes into what they create you really have to see it to appreciate it fully. To get to the design/art section you need to take a short walk through Diagon Alley. I loved walking through this street what would make it better is if they made some of the shops accessible, Imagine being able to by your souvenir in the Weasley's shop or a new Wand at Ollivander's. I think this would make the tour ever more amazing. 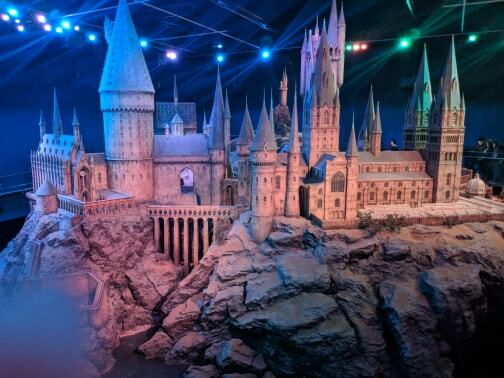 So on to the design area where you can find models and drawing's and small models of the bigger models before they become real life sets. The amount of time that must of gone into these models is unthinkable. We exited the tour and entered the gift shop. Here I go all northern again as I found the gift shop very out of my price range, I wanted to get a gift for my sister would couldn't come due to a GCSE exam. My thinking was I will get her a nice notebook for her to use when she goes to college. In my experience of buying gift's at studio tours I was thinking maybe £10 which I would of happily paid but for the A5 sized note book it was £18 and I just couldn't get that and also something for myself. 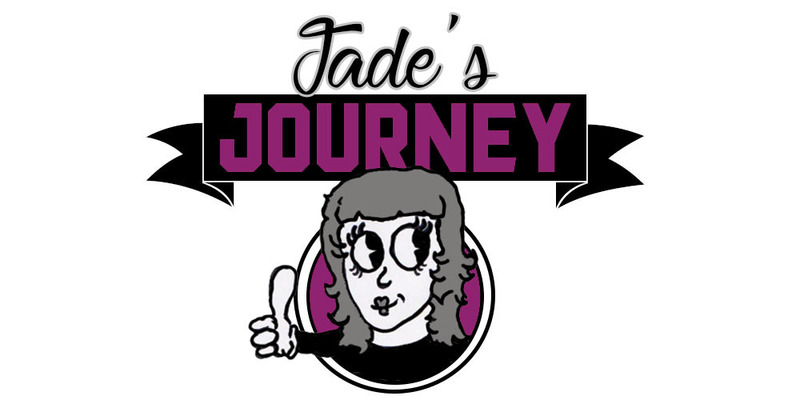 The tour was really good and I would recommend it to everyone. There is free onsite parking and if travelling by train a shuttle bus from Watford Junction, £2.50 for a return ticket. We drove down from Yorkshire and found the drive pleasant and the studio easy to find by following sat nav.